Our visiting scientist from February’s SEA Days was Tessa Pierce, a graduate student and researcher at Scripps Institution of Oceanography. Tessa is investigating how the California Market Squid will respond to climate change. Below, Tessa answers questions about her experiences and gives some advice to future scientists. I studied biology at Stanford University and am currently in graduate school at Scripps Institution of Oceanography. I work on the squid Doryteuthis opalescens, the species we eat as “Calamari.” This squid is such an important fishery that the common name is the “California Market Squid.” I’m interested in how this species will respond to climate change – in particular, how developing squid embryos may cope with low oxygen and low pH conditions. I study this at the genetic level. If you consider that your DNA – all of the genetic material it takes to make you, you, is an encyclopedia, a ‘gene’ can be thought of as a single page of information. You don’t need to read all the pages at once – you spend time using each page when you need it. Similarly, animals can turn some genes on, some off depending on the conditions they’re experiencing. Since our squid are surviving in low oxygen and low pH waters, I’m trying to figure out what genes they may be using to cope with these harsh conditions. 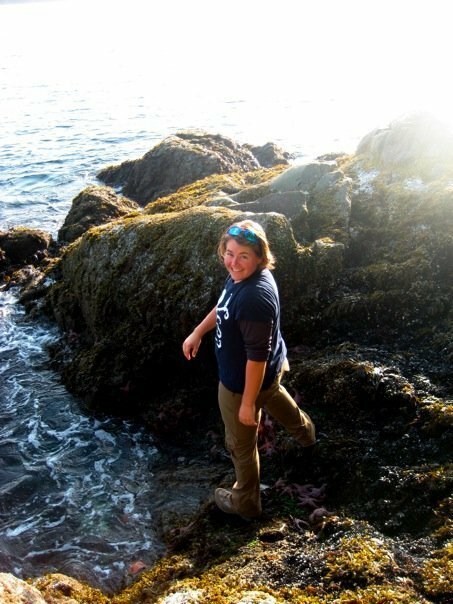 I got into marine biology by accident – one of our core biology courses was taught at the marine station in Monterey, and I thought “why not?” I learned to SCUBA dive and found that a whole world existed below the surface –great big forests of kelp, colorful sea slugs (nudibranchs), bright orange sea cucumbers and patchwork decorator crabs. I was hooked. 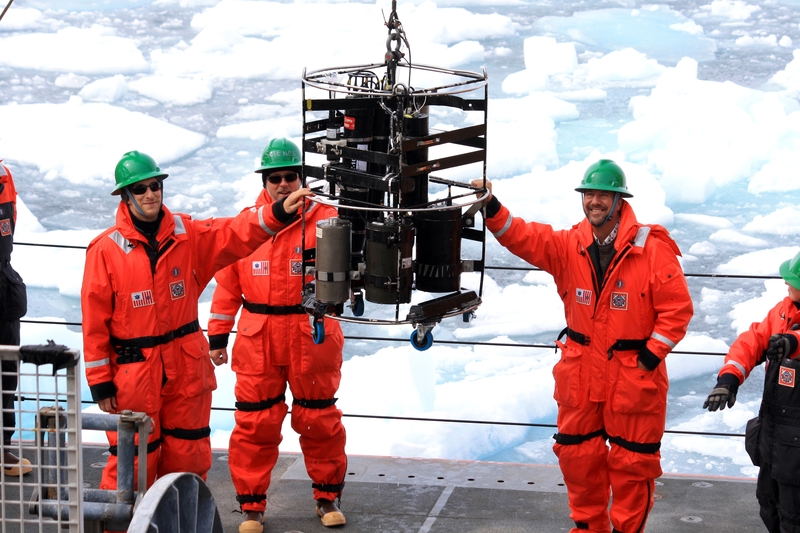 Enthusiasm: I think scientists come in many types, but a unifying factor is our enthusiasm for uncovering something new about the world we live in – whether that’s how something works (like how we learn and remember) or how environmental conditions affect animals in the ecosystem (like how squid might respond to low oxygen). Determination: Enough said, really. Discovering something new takes hard work and dedication! Creativity: Expanding current knowledge requires a deep understanding of what we already know coupled with the ability to take a creative leap to figure out the right questions to pursue. Squid are a major prey species for marine mammals, fish, and birds. 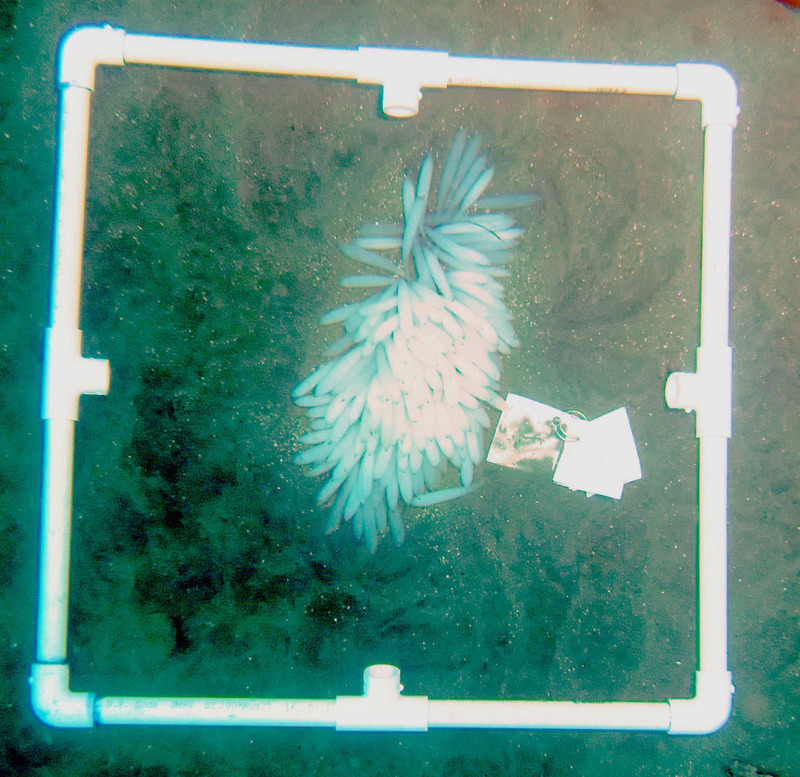 Squid aggregations form in different places depending on oceanographic conditions, and squid population numbers may fluctuate wildly from year to year. Without access to sufficient squid (in addition to other prey items), the animals that depend on them may not get enough to eat. These squid are important to humans as well — the fishery is the largest in California, bringing in over $70 million a year! We know that oceanographic conditions will be affected by climate change, but we’re working to figure out how these conditions might affect squid populations. Our work will hopefully inform how the species that depend on squid – and the California fishery – might be affected in the future. Get out there and experience the ocean. See how the limpets clamp down on rocks when a big wave hits. Struggle with the surge, and think about how the creatures that live there may have adapted to that environment. When you’ve found that feeling of wonder, hold on to it, and use it to drive yourself to study hard – get a solid foundation in everything from math to physics to computer science to biology. The skills and knowledge you acquire at school will be invaluable in becoming a great scientist. And lastly, don’t be afraid to really go for it! Don’t let people discourage you from following your passion. Oh wow – so many. One of my absolute favorites is Boltenia villosa, a small tunicate that basically looks like a spiky orange club! Tunicates, sometimes called sea squirts, are chordates, a group of animals that includes vertebrates. Even though they look completely different, they share some life history characteristics with us! This tunicate lives in rocky subtidal habitat from San Diego to British Columbia. I saw my first Boltenia villosa while diving in Monterey, and it’s a reminder to me of how many amazing creatures are out there that I was completely oblivious to before learning about kelp forest ecology. What other creatures am I missing – in the amazon, in coral reefs, in the deep ocean? Nature is incredibly rich and diverse, and it’s hard to believe how much of it we’re unaware of in our everyday lives.